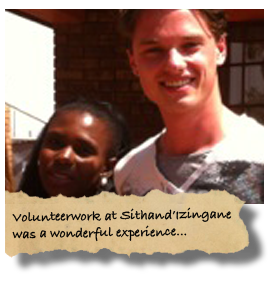 Volunteering at Sithand’Izingane has truly been a wonderful experience! 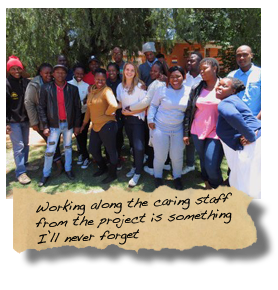 Since the day that I arrived at the project, I felt welcome and I loved the open conversations with everyone and the friends I have made! 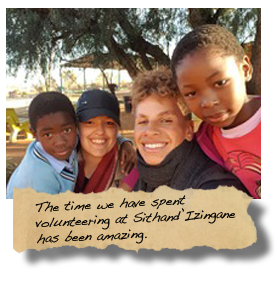 The time we have spent volunteering at Sithand’Izingane has been amazing. 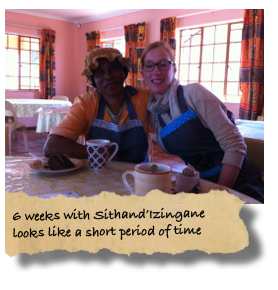 The people of Sithand’Izingane have been very welcoming and very open to sharing about their life and experiences. Although we have only been there for four weeks, it feels as if we know them for much longer. They are our friends and we are very happy and lucky to have met them. 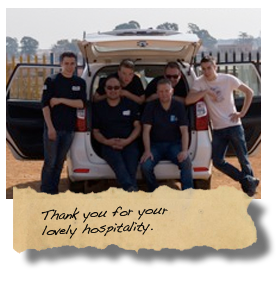 Thank you for making South Africa feel like home! I’m extremely grateful for this unforgettable experience. 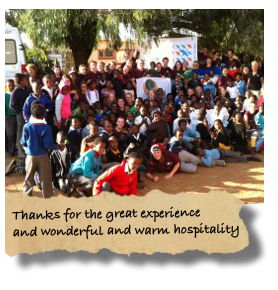 Learning everything about Africa and working along the caring staff from the project is something I’ll never forget. 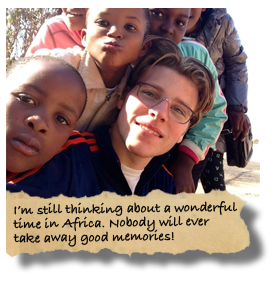 I’m going to miss everyone but I’m sure I’ll find my way back to Africa! 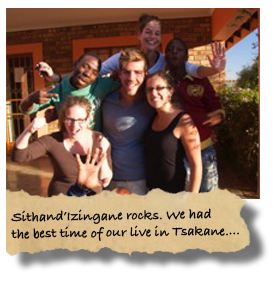 Sithand’Izingane is a wonderful place to stay. We learned a lot thanks to your great hospitality. 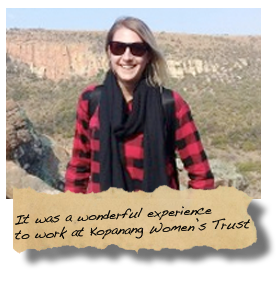 It was a wonderful experience to work at Kopanang Women’s Trust. 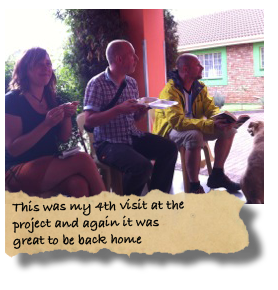 It was also a great pleasure to stay over with Anke & Maarten at the volunteer house in Geluksdal. 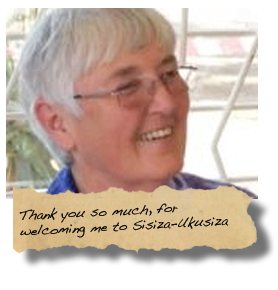 Thank you so much, for welcoming me to Sisiza-Ukusiza. 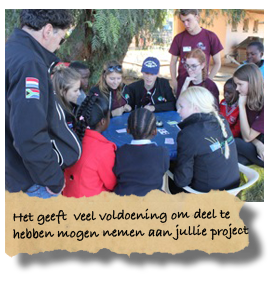 I have loved being home & Africa is where my heart is…..
Namens alle leerlingen en begeleiders van Trevianum Sittard geeft het nog steeds heel veel voldoening om deel te hebben mogen nemen aan jullie project; samen spelen, samen werken, samen leren heeft heel verbindend gewerkt en ons allemaal veel inspiratie gegeven voor de rest van ons leven (in Nederland); thank you all!! Thanks for the great experience and wonderful and warm hospitality. Ik heb een enorme betrokkenheid ervaren van de medewerkers van dit project om het leven van de jongeren in deze township een stukje beter te maken. 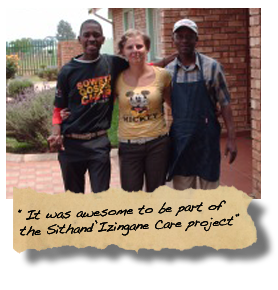 We worked for 4 weeks with the caregivers and supported them during the work with the children en Youth. We really learned a lot and had nice and good contact with the employees and local people. 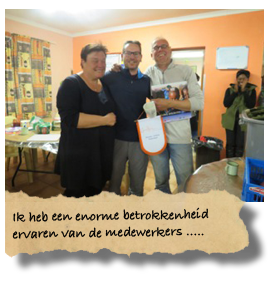 This was my 4th visit at the project and again it was great to be back home Thanks also to Maarten & Anke for your great hospitality. 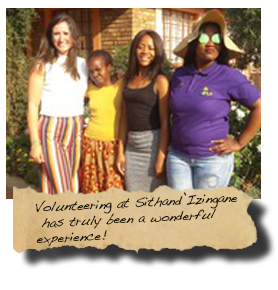 Volunteerwork at Sithand’Izingane was a wonderful experience. 3 months is a long time. 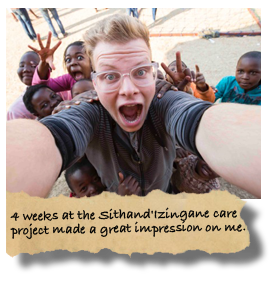 It was awesome to be part of the Sithand’Izingane Care project and to meet and work with so many people. We had the best time of our lives! 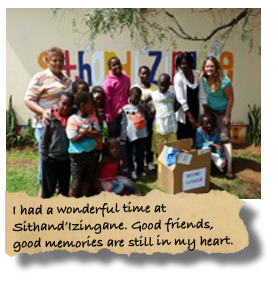 I definitely want to return one day to South Africa, not only to visit the country and its treasures, but especially for the people who have touched me with their hospitality and sociability. The children in the project were curious, kind and above all very playful ! 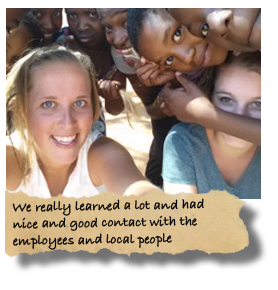 I learned a lot about the African culture by talking to people in the project. Eventually the weeks passed quickly, but fortunately I share wonderful memories. 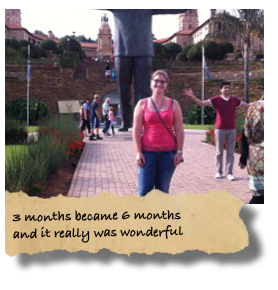 Hi, I am Wendy Manintveld, owner of Sonnigdal-Rooibos tee uit sonnige Suid Afrika and a yoga teacher in the Netherlands. 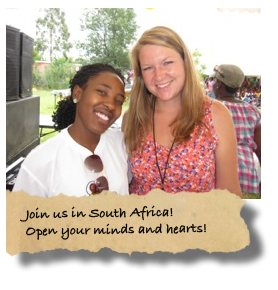 In 2001 I was in contact with the Dominican sisters who founded the project. 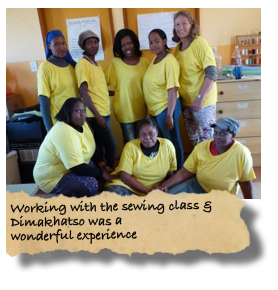 I was so impressed with their dedication, love and community spirit that I have been supporting the project ever since. 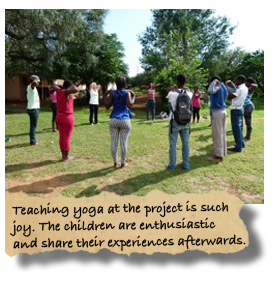 This year in April the opportunity arose again to teach yoga to the children at the project. It was a wonderful experience and I really want to do this again and come back next year. Be a bridgebuilder between the north and the south! Dream with us! Let´s dream about peace, justice and equality so that the ONE WORLD finally can become true! 3 months became 6 months and it really was wonderful and great to be part of your family. 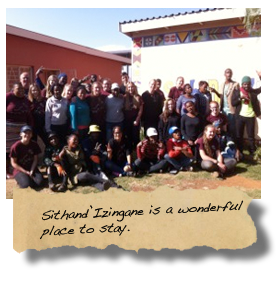 The six weeks I spent at Sithand’Izingane were absolutely amazing. It was not only a privilege to work in the kitchen, but it was a real honour to get to meet all the people from the project as well as Anke and Maarten.